The cornerstone of our practice is excellent legal service, customer service, and timely communication. We are here for you, and we will do everything we can to make sure you are satisfied with our service. We Specialize in EXCELLENT Service! Finding the right attorney for your legal needs can be difficult. We're here to help. Call us today, and we will do all we can for you. Here at Shannon C. Smith, LLC, we pride ourselves on our excellent staff and services. Get to know more about the staff here. Learn about the latest happening with the services and staff at Shannon C. Smith, LLC. Contact us if you have any questions. Whether you are in Ohio, Northern Kentucky, or the Louisville area, and you are in need of legal assistance, please reach out to us. We're glad to help. 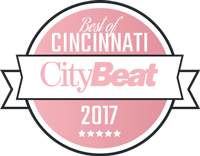 One of twelve law firms nominated Best of Cincinnati by City Beat Cincinnati, the attorneys at the Law Offices of Shannon C. Smith, with a new location in Covington, are ready to assist you in all your estate planning, small business planning, and family law needs in Cincinnati, Northern Kentucky, or Louisville. You can reach us at 859.414.0543 or 502.498.4739. If you are not looking for assistance with any of our listed legal services but still need legal help, you’ve come to the right place. At the Law Offices of Shannon C. Smith, we do what we love: practice law. Small businesses, larger enterprises, and individuals—we work with them all. We will work with you. Get in contact with us today!